What’s the easiest way to get to the animals you want to hunt? 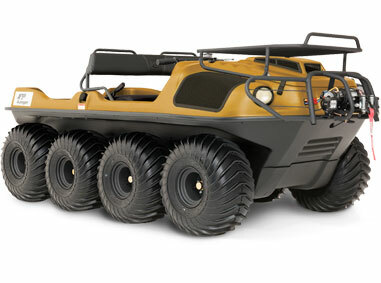 Argo’s XTVs can handle any surface you throw at them, including sand, mud, ice, rocks, and even water, while its slim profile helps it maneuver through tight spaces between trees, rock faces, and other obstacles. 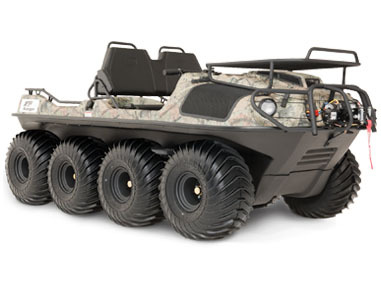 Whether you’re an outfitter who needs to bring customers to the great outdoors or just want to go out on your own, using an XTV means less time getting to your hunting spot and more time hunting. Controlling an XTV is easy: although the vehicle steers by braking the wheels, it’s controlled by a regular set of handlebars like you’d find on a regular ATV. 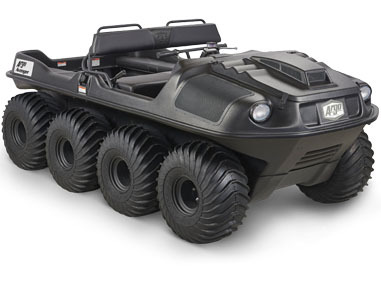 The XTV’s low center of gravity makes it less likely to flip than any other off-road vehicle, while a full-length skid plate protects the underside without snagging on rocks and branches. 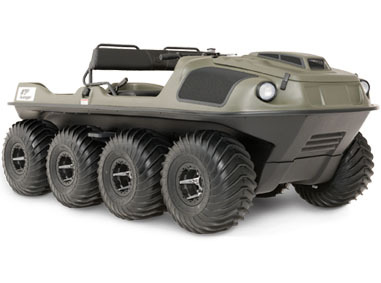 Built to traverse both land and water, and stash hunting essentials, a state-of-the-art amphibious hunting vehicle helps the modern hunter get to where the prey is. It’s the culmination of millennia of technological advancements, and it’s always best to experience what it can offer, firsthand. 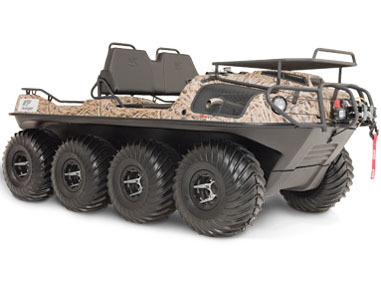 Once you’ve reached your destination, an XTV can aid you in your hunting. Chasing birds? 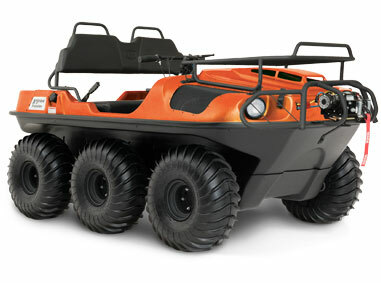 An Argo hunting XTV lets you carry gear for you and your dogs, rapidly crossing rough terrain to keep up with the flock. 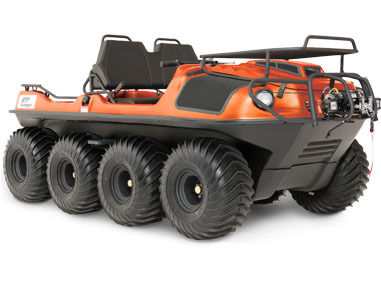 If you’re hunting waterfowl, the dual land and water capability of these vehicles lets you stay in pursuit without having to switch between a boat and ATV. 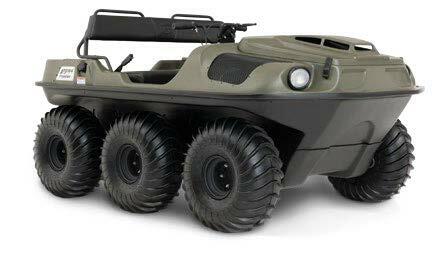 You can even get a mount to add an outboard motor for more speed. 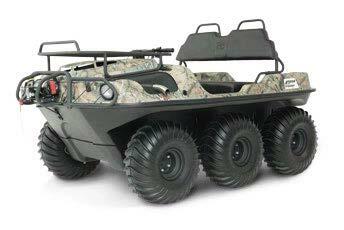 The vehicle can also hide inside a blind, letting you stay out of the water where you’ll be warm and dry. 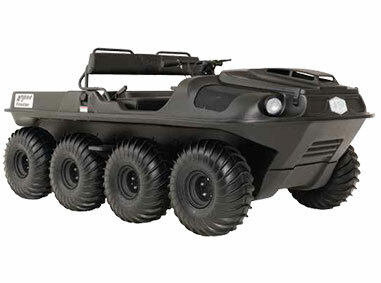 An Argo can also help you once you’ve landed your game. 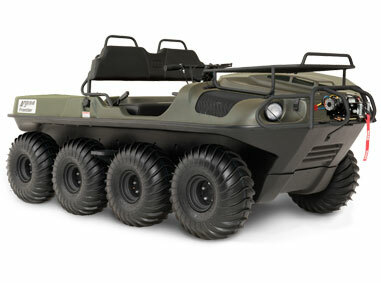 These vehicles have plenty of cargo capacity, and the amphibious trailer can carry up to 2,000 lbs. (907 kg) for hauling the biggest game out of the wilderness. 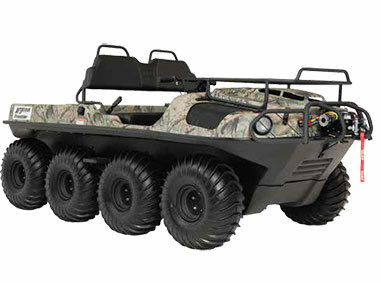 Argo knows their vehicles are popular with hunters, which is why they offer plenty of equipment for them. 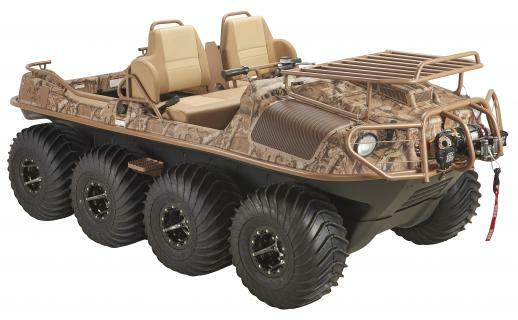 There’s a front-mounted rack for cargo and game, a rubber-mounted gun rack to keep your rifles safe and dry, steps to make it easy to lift game and equipment into the vehicle, and lighting for early morning drives and camp illumination. A canopy and windshield can be added to protect passengers from the elements, and premium seats increase comfort when sitting for long hours to spot game. 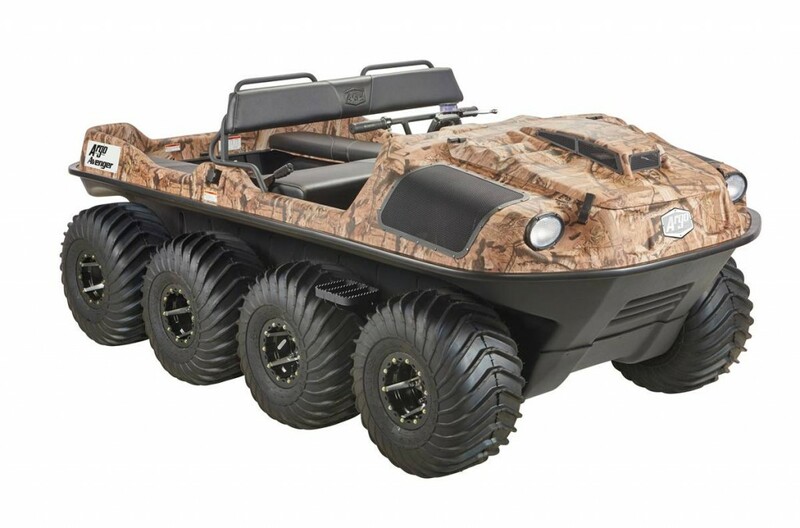 Argo even partnered with Mossy Oak to offer their Infinity Camo pattern to their vehicles, helping you blend in with your surroundings. Want to go somewhere really remote? 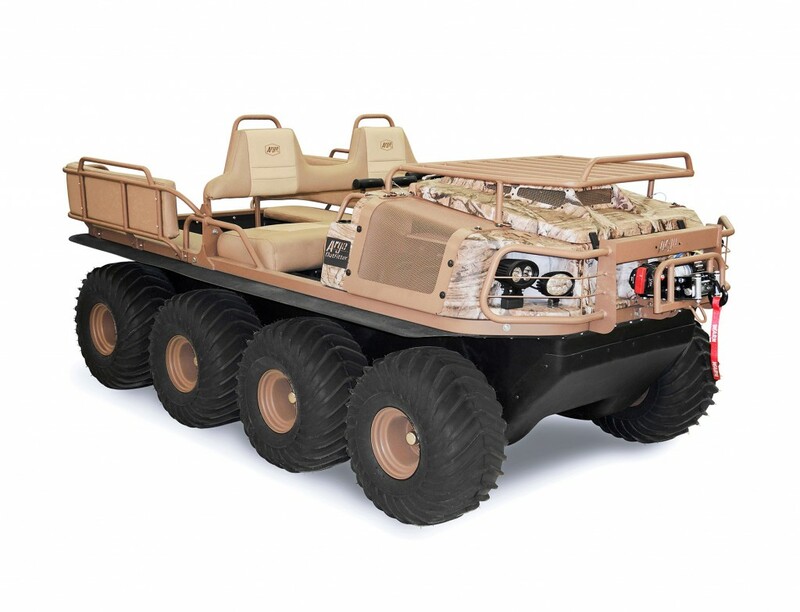 The XTV can be transported by helicopter by adding sling mounts, and there are add-ons available to carry extra fuel and spare tires without intruding into the cargo and seating areas. Worried about flats? Beadlock rims are standard on some models and keep the tires locked on the bead even when running extremely low pressures. 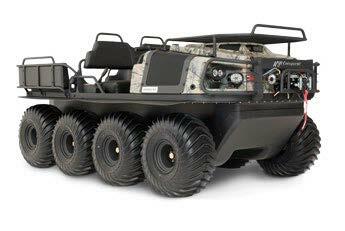 Argo XTV hunting vehicles are available in numerous configurations, both in 6×6 and 8×8. Come and visit Shank’s Argo to know more.